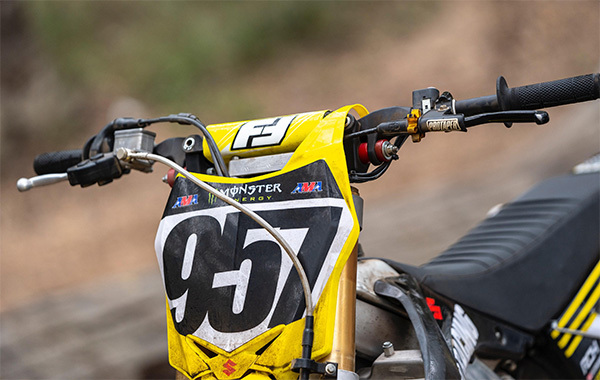 Choosing an aftermarket handlebar is usually one of the first modifications to grace a new Motocross or Enduro bike as you roll it out of the dealership. 7/8th inch, Cross-Bar, no Cross-Bar, the options are endless and there are a multitude of manufacturer’s who produce quality products to meet your specific need, dependent on your height and riding style. 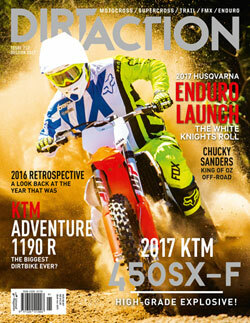 You will often hear the word “Flex” thrown around when discussions of aftermarket handlebars heat up among mates. When designing a handlebar, manufacturer’s and engineers alike are trying to achieve increased strength whilst not hindering the bars flexibility. Enter the Fasst Co Flex Handlebar, after a long day on the trails or at the tail end of a 30 minute moto, wouldn’t it be nice to not feel any small bumps, vibration, and harshness through the controls? I had been aware of Fasst’s unique handlebars for a few years, but had always been reluctant to try them. 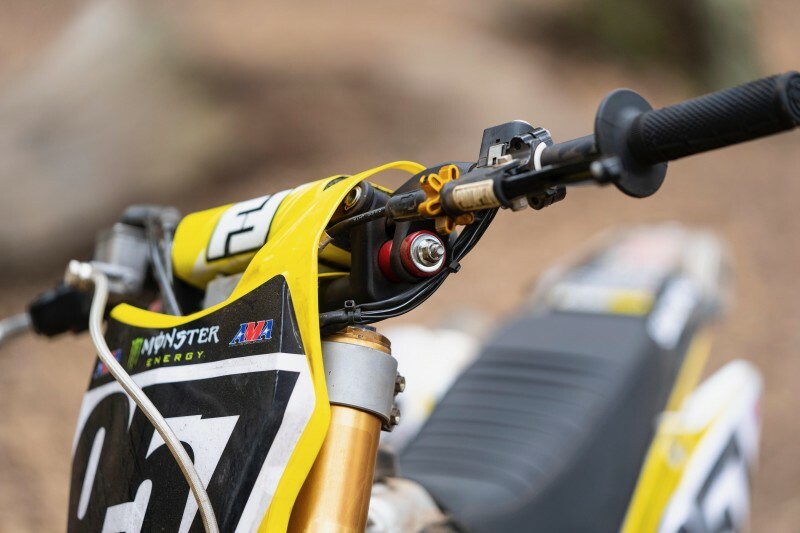 With the Pro Taper Fusion my bar of choice, I began searching for a bar with more flex after fitting a set of aftermarket triple clamps to an RM-Z450. With the slight change in ergonomics the new clamps served their purpose in updating the turning characteristics of the bike, but left me with sore palms and arm-pump due to the increased rigidity. 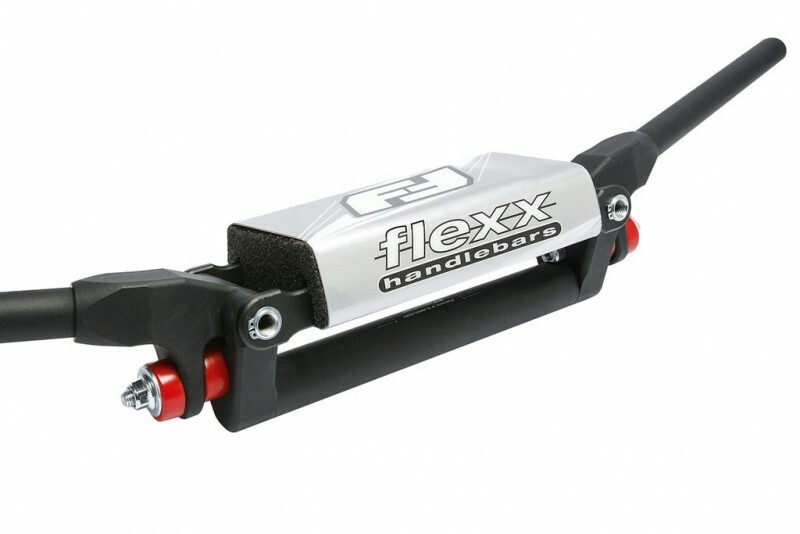 The Flexx handlebar system utilizes a series of compression and rebound elastomers designed to absorb engine and chassis vibrations. These elastomers allow the control end (or arms) of the handlebar to pivot separately from that of the centre portion of the bar that is fixed to the triple clamp. The rigidity or flex of the bar can be adjusted using the tension of a central bolt, along with different density elastomers. From the box, the bars come fitted with the red (stiff) elastomers and the tension bolt set with 3 threads visible. Our initial testing took place on a sandy motocross track with a tendency for square edge bumps to form on the entry to turns, whilst large flowing rollers form on the exit. As a base line we opted to install the bars with the elastomers and tension setting supplied from stock. We tested the bars back to back with a set of Pro Taper Fusion bars to increase the chances of feeling a difference. And what a difference we felt! It is immediately noticeable that the bars reduce harsh vibrations on short, square edge bumps. I was specifically looking to reduce this on the RMZ we used as a test bike, leaving me with a stupid smile on my face as I rode back to the van after a brief moto. With the understanding that the bars were tune-able, I set about loosening the central bolt two turns with the mindset that this would improve my experience even further. This wasn’t as favourable as I had hoped as it generated a slight wallow on fast roller sections and a feeling I can only liken to a lazy shock (not rebounding quick enough) on the square edge entries to corners. Although I settled on the red elastomers with 2 ½ threads visible by days end, we are looking forward to playing around with the rebound and compression elastomers along with the bolt tension more as we find a base setting that works across a variety of terrains. Having nothing more than a tip over in a low speed corner, the bars are yet to cop any type of serious crash abuse. One thing that is noticeable is the weight difference over a standard bar, this is evident as you remove them from the box ready to mount them up. As we continue to test the bars in other environments, it will be interesting to see how they hold up to the odd crash and general wear and tear given that they do have moving parts. With an RRP of $569.95 you can buy a traditional set of bars 3 times over. However, if vibration, arm-pump or sore palms are a common gripe for you, then they are worth every cent and a lot cheaper than the arm pump surgery that some people explore. Be sure to check out and purchase all of the Fasst Company products at www.fasstcoaustralia.com.au.